If you liked Biolage® and Opti.Collection perms, you will love new Opti.Effects! 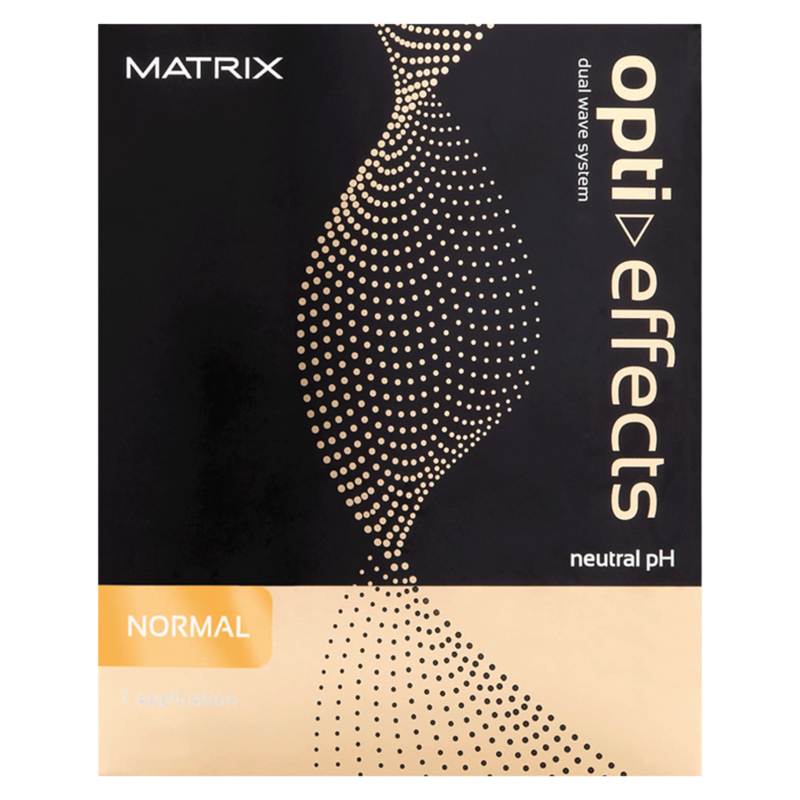 Opti-effects is a revolutionary, state of the art, permanent wave technology. Unlike other waving lotions, Opti.Effects contains carbonate in order to boost the efficacy of the thioglycolate. This boosting agent means that less thioglycolate is needed, making the product less damaging to the hair, providing long lasting wave patterns with optimal mildness and fiber respect and no residual ammonia odor on the ahir. When carbonate reacts with the other components of the activator, harmless carbon dioxide is released, and if the reaction takes place too quickly, foaming will results. As always, you should wear gloves when mixing the solutions as the resulting product may be irritating. When mixing the activator and waving lotion, you should add the contents of the activator tube SLOWLY and mix by GENTLY SWIRLING and loosen the screw cap to release excess gases. Mixing the two solutions too quickly or vigorously may cause excess foaming. As with many new technologies, you may have to slightly adjust habits and application method for best performance. As always, stylists should read and follow the safety warnings and instructions before using this or any other technical product.